Maintenance professionals who have implemented Oil Analysis Programs (OAP) into their Preventative Maintenance Program understand, at some point, it's going to happen, we don't know when, or where, but one day our new oil is going to start to turn...dark. 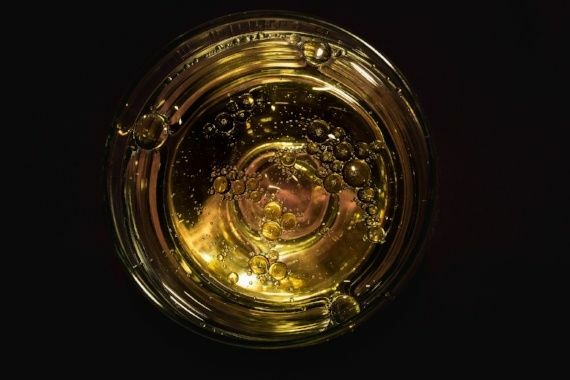 Oil can be finicky, fickle and at times frustrating, but by understanding what oil is -- its inherent traits, characteristics and attributes -- can make it very helpful in finding trouble spots throughout your system. Whether there is a high-pressure influx near a 90º bend, a malfunctioning valve that is not fully open or an ingression of particulate or water contamination, darkening oil will an indicator of a larger problem. Experts agree that darkening of oil is a visual sign of "aging" oil. According to the journal Facta Universitatis, series: Mechanical Engineering, there are several elements that contribute to aging oil: temperature and the presence of oxygen, water or metal catalysts. These, coupled with, pressure, the sheer rate of molecules, radiation (either chemical or light produced), and contamination can prove to be an especially difficult enemy to face. A proper OAP can make a significant difference in the battle for cleaner, longer life expectant oil. Friction, heat and oxidation create the classic chicken-or-egg scenario when it comes to causes of darkening oil. We know friction causes heat, and both friction and heat are some of the contributing factors to oxidation, but any one of the three could be the reason your new oil is turning dark. Again, utilizing your OAP will give you the details needed to see exactly what is going on with your oil so that you can create an appropriate plan of action to rectify the physicochemical cause of your oil turning dark. As mentioned before, darkening oil can act as a warning when there is something wrong within a lube system. With a few simple tools, you can begin to assess your system as a whole to help find out where your trouble might be coming from. Utilizing thermal imaging technologies along with your knowledge of your lubricant ideal temperature parameters (10-60ºC or 50-140ºF) we understand that we should be looking for spots that exceed those parameters as possible culprits for darkening oil. Also, optimizing your systems in-line pressure and flow measurement features can help narrow down areas near our around certain valves that could prove to be more vulnerable to fine particulate contamination. Finding these trouble spots could prove invaluable when trying to adjust your Total System Cleanliness Plan properly, ensuring that corrective concentration is focused before vulnerable and sensitive parts like valves and pumps are at risk. Other helpful tools could include in-line particulate contamination monitoring systems such as the Hy-Pro PM-1 particle counter which is ideal for dedicated in-line installations and provides ISO code particle monitoring that is easy to use and read. In conclusion, we understand that oil is going to turn dark as it ages, but we can analyze it for information that can be used to identify potential problems throughout the system. And we have discussed, some simple tools that can be used in assessing your system when looking for possible culprits contributing to your darkening oil. Looking for a solution to your darkening oil problem? Contact us and we'll help you find a solution.